Design. 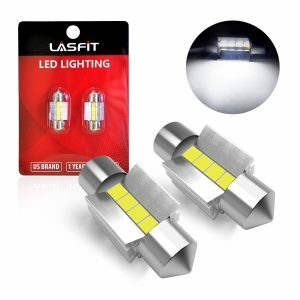 The 31mm HP6 LED bulb is a direct replacement for any 31mm-size bulb, commonly found in map lights, dome lights, and trunk lights in many vehicles. Populated with eight high-power LEDs arranged in an omnidirectional pattern, the HP6 upgrades the factory yellowish incandescent bulb to a more modern LED appearance, while providing far more light output than the factory bulb. Thanks to the frosted cover, the HP6 provides even light distribution and a clean, factory-style appearance. With its durable metal terminals, it will fit snugly in the socket, and its light weight means it won’t vibrate loose over time. Reliability. Unlike other bulbs on the market, this bulb is built with constant-current circuitry, along with transient suppression. That means this bulb will last for years, not months, with no flickering or failure. 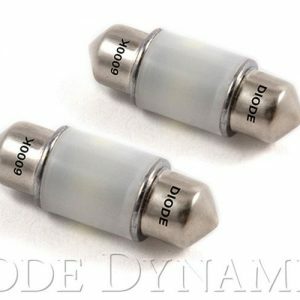 And like every Diode Dynamics product, it’s backed by an industry-leading three-year replacement warranty. Brightness. With 130 lumens of true, measured output, the HP6 LED will provide far more light output than your original 31mm-sized bulb. 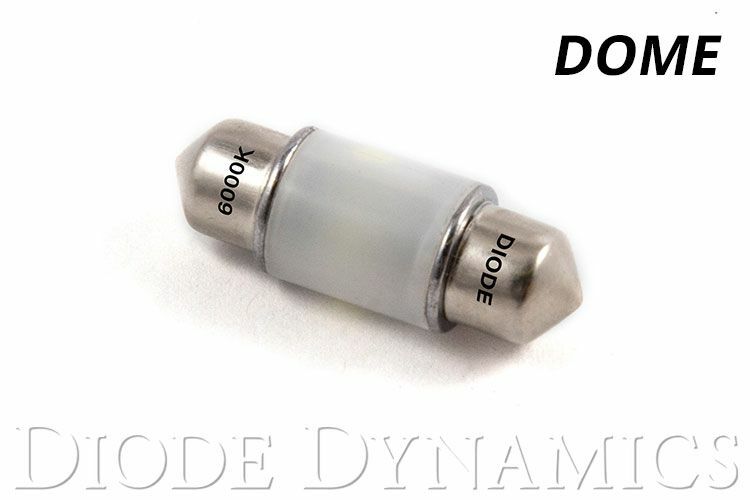 All Diode Dynamics LED lighting is rated with accurate, measured lumen figures, not calculations or guesses. We test the true output in-house, and provide you the real numbers to compare. Colors. In addition to vibrant colors of blue and red, the HP6 is available in a cool white 6000K and warm white 3000K option as well. Whether you want a modern cool white appearance, or a traditional warm white color, we have the color to fit your need!